What is the motive behind IDAP ecosystem creation for crypto derivatives market trading? The motive was twofold. Current crypto exchanges fall short on user experience and lack diversity in the trading products they offer. Customers hop from exchange to exchange to trade different products and end up paying trading fees multiple times over. Secondly, derivatives are underrepresented in crypto markets, whereas traditionally they make up quadrillion dollar market and are very popular trading instruments. With the IDAP ecosystem, traders will be able to trade multiple crypto derivatives, all under one roof and on a highly customizable trader-friendly platform. The IDAP ecosystem will stand tall and firm based on the 3 pillars. Please specify them for us in details? Our diverse product line, robust exchange, and advanced analytics tools are crucial to providing an ecosystem that serves traders best. Combined, these three aspects ensure that traders can engage in strategic trading, by employing multiple products to hedge and speculate, while being highly aware of market movements through multi-angle analysis. The institutional grade exchange infrastructure makes sure that high performance is delivered irrespective of market conditions so that traders don’t miss out on any opportunities. What are the challenges for the nascent crypto trading economy and how do you aim to overcome it? The lack of financial instruments based on crypto is a challenge. Cryptocurrencies as a new asset class require financial products based on them so that traders, especially professional ones migrating from old-school exchanges to crypto exchanges can hedge and speculate as per their style. User experience is also a major problem and so is poor liquidity. We feel that by offering a trading platform that is universal, accessible and accommodating to all grades of users is perhaps the way to bring in more participants and thus improve the volume of trading and subsequently the exchange liquidity. Bitcoin got all of us hooked the moment we read up on it. It is an innovation unlike anything else. As a new asset class, to understand it deeply, you need to have skin in the game. The next step was naturally to begin trading BTC and cryptos, given our background of nearly three combined decades in traditional markets. Exploring crypto trading we saw the gaps between the exchanges here and platforms like CME or ICE, where we had spent years trading before. 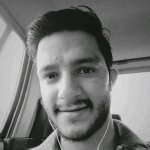 So, that too was significant in making IDAP happen. Please specify in detail the driving innovation in crypto asset market? We are introducing two, low-risk crypto derivatives, spreads, and butterfly. These types of instruments are very popular among traditional derivatives traders. We are also bringing the first legacy styled Desktop Trading App and institutional grade infrastructure that will not be fazed by volatile market conditions. Our Simulator, which uses real-time market data, is also vastly more sophisticated than any simulating software available currently. Implied logic, a must for futures markets, will also be implemented in crypto for the first time on our exchange. We are offering futures, perpetual swaps, spreads, butterfly, American option and more. Our focus is on crypto-based derivatives, as derivatives trading can be useful for hedging along with speculating if a trader has that kind of risk appetite. Plus, given how volatile crypto markets are, price differences pop up and with products like spreads and butterfly, these can be traded easily. The contracts will all be cash settled. What is Futures Contract Crypto Trading and Trading with ‘Calendar Spreads’? A ‘Future’ is a contract to buy or sell the underlying asset, in this case, cryptocurrencies, for a specific price at a pre-determined time. Contracts for different months can be traded on exchanges. The price difference between two futures for different months can be traded as a calendar spread. What is ‘Butterfly’ and ‘Options’ Crypto Trading? The price difference between two spreads can be traded as a butterfly spread. Options trading involves buying and selling a type of derivatives contract called an option which offers the buyer the right to buy, not the obligation to buy at the specified price or date. Margin trading is a method of trading that involves borrowing funds, so it does involve more risk than non-leveraged trading. But at the same time, it allows a trader to trade more than they’d be able to trade, using just their own funds. So, while it may not be the choice for everyone, those with a higher risk appetite will have another avenue when it comes to crypto trading. What is the notion behind Crypto Indices Derivatives and explain perpetual swaps incorporated in your project? A crypto index is nothing but a portfolio of crypto assets. The value of such an index is represented through ‘Points’, representing the weighted average of the current values of its underlying components. With an index’s derivative, traders can trade contracts that are representative of the entire crypto market or a particular area of the market. Perpetual swaps are crypto futures with no expiry. They can be traded like cryptos are traded in the spot market, while enjoying the benefit of using margins, i.e. investing less money and earning better returns than those of the spot market. Explain in detail the specified role of each Desktop Application, IDAP Ladder, IDAP Matrix, IDAP Spreader? Our Desktop Application houses the IDAP Ladder along with advanced charting and analysis tools like the IDAP Matrix and Spreader. For fast-paced trading, this layout is extremely useful as orders can be executed with a click of a button, while bids & offers are displayed in a ladder format, alongside other relevant data like trade history and market depth. More so, you can trade multiple instruments side by side and directly by clicking on the bid & ask columns for the price you want to place the order for. You can customize your workspace as per your requirements, save it and use it later. You can create multiple workspaces with different settings enabled for maybe different instruments. This way you have total control over the way you trade. With the IDAP Matrix, traders can view market data for all contract expirations of an asset as well as market data for exchange-quoted spreads for the underlying asset, all in one window, plus execute orders directly from here. The IDAP Spreader allows traders to create, manage and execute synthetic spreads based on futures contract available on the IDAP exchange. There is also multi-screen support for the desktop app. Most importantly, by utilizing the various features of the app, trades can be semi-automated with almost very little effort and without any coding knowledge. What role does Implied Order feature of the project IDAP plays? Futures markets can be prone to mispricing and manipulation if appropriate measures are not taken. Through implied logic, the futures trading products, i.e. outright, spread and butterfly are interlinked. Thus, the liquidity pool is shared across any order placed, whether an outright, spread or butterfly. This, in turn, ensures that the prices are not manipulated. What is IDAP Simulator and what is its role? The IDAP simulator is a simulated trading environment where traders can engage in risk-free trading on real-time data. It is aimed to let new entrants gain practice on the different instruments, develop a market sense while letting more experienced traders develop and test out trading strategies in a controlled space. Explain in detail the IDAP Exchange Architecture? What are SOR and TOMS? 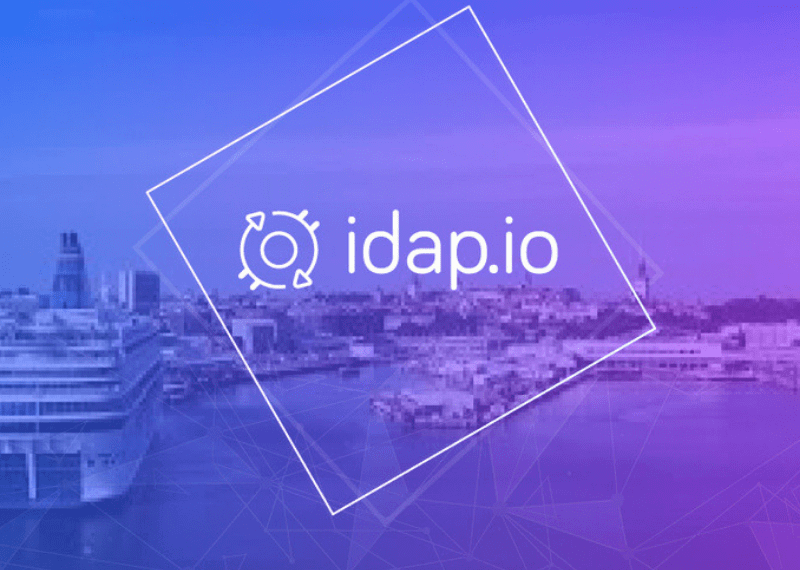 The IDAP Exchange is designed to operate at low latency, high throughput, and maximum uptime and has an institutional grade matching engine. By incorporating geo-replication in its architecture, we’ve built it to be fault tolerant, ensuring that the platform delivers a seamless and uninterrupted trading experience to the users. With Smart Order Routing (SOR), the matching engine will tap into the liquidity of high-volume 3rd party exchanges, ensuring the best prices for orders placed. Trade Order Management system (TOMS) will provide high-end order management via FIX interfaces and will also make the order history database accessible. How do you strike a balance between the need for privacy and autonomy for those who trade cryptocurrencies and the need for ID verification to comply with regulators and achieve an MTL license? We have realized that the best approach is to enforce verification on a gradient. For accounts with a 1 BTC withdrawal/deposit limit, KYC will not be required. If a user wants to upgrade, they can get verified. More so, we’ll ensure that suspicious activity is always on our radar so swift action can be taken. At the same time, for honest users, their autonomy will not be compromised. It is a very real problem and honestly, bad actors have been responsible to an extent. At the same time, white paper ICOs are also to blame. ICO as an idea to raise funds is still novel and done properly it can be wonderful for retail and high-end investors alike. We are seeing now projects focus more on deliverables now, opting for MVPs or demos before going for token sale. In a way, the crypto space is maturing, and it is better in the longer of things. I’m wondering what were your considerations when you were thinking about having a token sale? We opted for an ICO to not just raise funds but to build a user base. See, the people investing in our token sale are for the most part traders and they wish to see our exchange up and running because they can’t wait to trade on it. Our investors are people who like us, want a better exchange to be available in the crypto space. User acquisition is very important to ensure the eventual exchange liquidity and through the ICO, we’ve managed to build a strong community, marketed the exchange and incorporated the community feedback into the product design. What is your vision as to decentralizing the exchanges, what is your perspective on your industry, with so many centralized exchanges out there? What were some exciting aspects that brought you to the crypto world? Decentralization is at the heart of the crypto space and decentralized exchanges obviously provide more autonomy to a user. That said, it boils down to performance and liquidity, which is why all top crypto exchanges are centralized. Going forward, as decentralized trading markets are able to solve liquidity and performance problems, we can very well see a shift in the model followed by exchanges.